Spray foam insulation offers many benefits as an air barrier material, with vapor permeability. It is able to accommodate seasonal shifting and cannot sustain mold. Either type can be used for interior insulation. 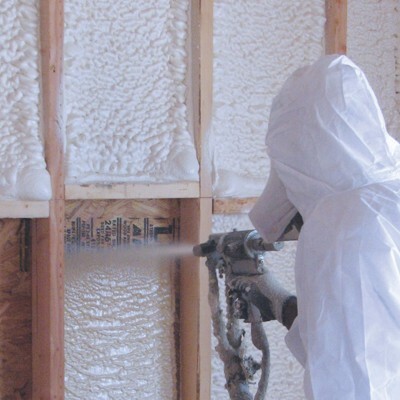 The Pro Insulators experts are trained in applying both open and closed cell spray foam insulation. The product selection depends on the situation. 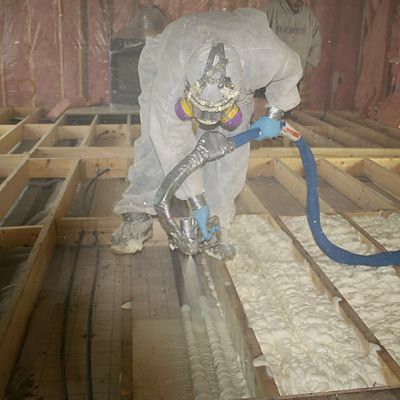 Closed cell spray foam is more expensive, but it offers many benefits. Open cell foam offers many of the same benefits and is less expensive than closed cell. Speak to a Pro Insulators expert to discuss which product will best suit your project. Protective gear and proper equipment are essential to working with spray foam. 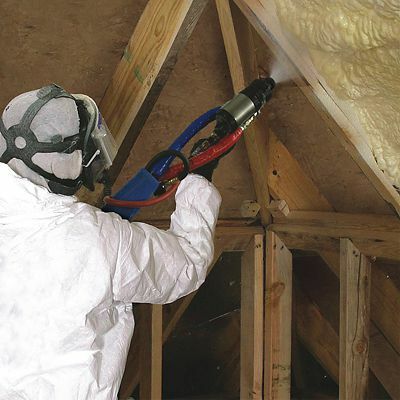 Our employees have protective gear and proper training to work with spray insulation. IMPORTANT: It is the builder's responsibility to make sure that they have the job heated appropriately (approximately 60 degrees) in order to spray foam. Pro Insulators will bill the customer $200/day per torpedo heater if supplemental heat is needed on the job in order to spray foam.